American-Israeli world music maestro Diwon is one of the most innovative and versatile Producers and DJs performing and recording music today. Diwon’s beats are strongly influenced by the musical traditions of his mother’s family, whose roots lie in Yemen. He blends Yemenite & Israeli music with electro hip-hop and cinematic psychadelia, and draws inspiration from the Middle Eastern musical canon. 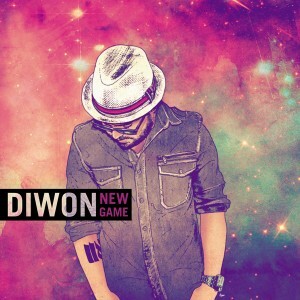 A prolific producer, Diwon releases a clutch of albums every year. The last twelve months has seen The Sabra Sessions, The Beat Guide to Yiddish, the quirky Rarities & Remixes and the hour-long meditation Shir Ha Shirim (The Song of Songs), mixing heartfelt Moroccan song with hypnotic hip-hop, rock, and Middle Eastern beats. Diwon is currently completing work on the revolutionary hip hop record This is Unity with acclaimed multilingual MC Y-Love, as well as working on his own records, Diwon Riddim and Others, which will feature vocalists and rappers from across the globe, including the top selling Jamaican dancehall sensation, Sizzla. URB magazine listed him amongst their NEXT 1000 and wrote that “Diwon is something else…in a profound kind of way”, calling his sound titillating and ‘juicy for the ears’, while The Village Voice described his producing as ‘adventurous and banging’. CBS featured Diwon as part of their Faith, Music and Culture series and he has made appearances on NPR, PBS, and BBC World. .